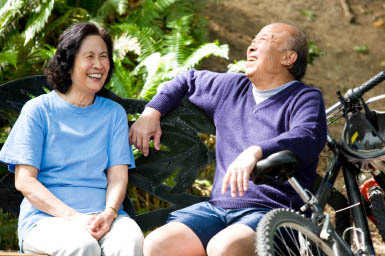 The term ‘Advance Healthcare Directive’ (sometimes shortened to ‘Advance Directive’), applies to all directives, instructions, or even desires that a person may communicate in writing, orally or in some other fashion concerning decisions about medical treatment and health issues relating to his or her body and life. Accordingly, such directives as declining cardiopulmonary resuscitation in advance, authorizing an autopsy or donating organs may be considered by some to be advance directives…While advance directives are generally used in the context of making end-of-life decisions, the laws of the state of Hawaii cover a borad range of advance directives and make it easy for individuals to have their instructions followed. For more information, click on handbook and read pages 21 to 25. You can also click here for a sample of a Hawaii Advance Directive. In addition to the ‘indiviudal instruction’ for health care, you should consider making a health care power of attorney (also called a durable power of attorney for health care or medical power of attorney). Delegating the authority to carry out your instructions or to make health care decisions in the absence of such instructions, is becoming a common method of planning for the future. Before two ‘qualified’ adult witnesses who are personally known to you and who are present when you sign. These witnesses must also sign the document. OR before a notary public in the state who acknowledges your signature. At least one of the individuals used as a witness for a power of attorney for health care must be someone who is neither related to the principal by blood, marriage, or adoption; nor entitled to any portion of the estate of the principal’s death under any will or codicil theroto of the principal existing at the time of execution of the power of attorney for health care or by operation of law then existing. If an individual is not longer able to make decisions, has not made an advance health care directive nor has a guardian, who will make health care decisions for that person? …Since 1999, Hawaii’s UHCDA (Modified) has provided a mechanism for surrogates to make decisions for incapacitated individuals. A surrogate is a person who is not a guardian or health care agent and who has the authority to make decisions for the patient. Under the UHCDA surrogate provisions, you may designate or disqualify any individual to act as a surrogate by personally informing the supervising health care provider. In the absence of such a designation, or if the designee is not reasonably available, a surrogate may be appointed to make a health care decision for the patient. A surrogate may make a health care decision for a patient who is an adult or emancipated minor if the patient has been determined by the primary physician to lack capacity and no agent or guardian has been appointed or the agent or guardian is not reasonably available. The process of appointing a surrogate is somewhat complicated under Hawaii’s modified version of the UHCDA. Upon a determination that a patient lacks decisional capacity to provide informed consent (or refusal) for medical treatment, the primary physician or the physician’s designee first needs to make ‘reasonable efforts to notify the patient of the patient’s lack of capacity.’ The primary physician, or the physician’s designee, then must make reasonable efforts to locate as many ‘interested persons’ as practicable. The primary physician may rely on such individuals to notify other family members or interested persons. Under this new law ‘interested persons’ means the patient’s spouse, unless legally separated or estranged, a reciprocal beneficiary, any adult child, either parent of the patient, an adult sibling or adult grandchild of the patient, or any adult who has exhibited special care and concern for the patient and who is familiar with the patient’s personal values. Upon locating interested persons, the primary physician, or the physician’s designee, must inform such persons of the patient’s lack of decisional capacity and that a surrogate decision-maker should be selected for the patient. Interested persons are to make reasonable efforts to reach a consensus as to who among them shall make health care decisions on behalf of the patient. The person selected to act as the patient’s surrogate should be the person who has a close relationship with the patient and who is the most likely to be currently informed of the patient’s wishes regarding health care decisions. If any of the interested persons disagrees with the selection or the decision of the surrogate, or, if after reasonable efforts the interested persons are unable to reach a consensus as to who should act as the surrogate decision-maker, then any of the interested persons may seek guardianship of the patient by initiating guardianship proceedings. Only interested persons involved in the discussions to choose a surrogate may initiate such proceedings for the patient. A surrogate who has been designed by the patient may ‘make health care decisions for the patient that the patient could make on the patient’s own behalf.’ In other words, a ‘designated surrogate’ may make all decisions for the patient. A surrogate who has not been designated by the patient ‘may make all health care decisions for the patient that the patient could make on the patient’s own behalf, except that artificial nutrition and hydration may be withheld or withdrawn for a patient upon a decision of the surrogate only when the primary physician and a second independent physician certify in the patient’s medical records that the provision or continuation of artificial nutrition or hydration is merely prolonging the act of dying and the patient is highly unlikely to have any neurological response in the future.’ This particular provision is subject to interpretation and reinforces the notion that an individual should appoint an agent through a health care power of attorney or designate a surrogate if the person wishes to grant another person the power to make health care decisions for the patient that the patient could make on his or her own behalf. In other words, a ‘non-designated surrogate’ has certain restrictions on making health care decisions about tube feeding. The surrogate who has not been designated by the patient shall make health care decisions for the patient based on the wishes of the patient, or, if the wishes of the patient are unknown or unclear, on the patient’s best interest. The decision of a surrogate who has not been designated by the patient regarding whether life-sustaining procedures should be provided, withheld, or withdrawn shall not be based, in whole or in part, on either a patient’s preexisting, long-term mental or physical disability, or a patient’s economic status. A surrogate who has not been designated by the patient must inform the patient, to the extent possible, of the proposed procedure and the fact that someone else is authorized to make a decision regarding that procedure. The legislature’s enactment of unique requirements and restrictions governing the surrogate provisions of this ‘uniform’ law in Hawaii makes it even more crucial for an individual to consider designating an agent in a health care power of attorney or, at a minimum, designating a surrogate by informing the supervising health care provider.